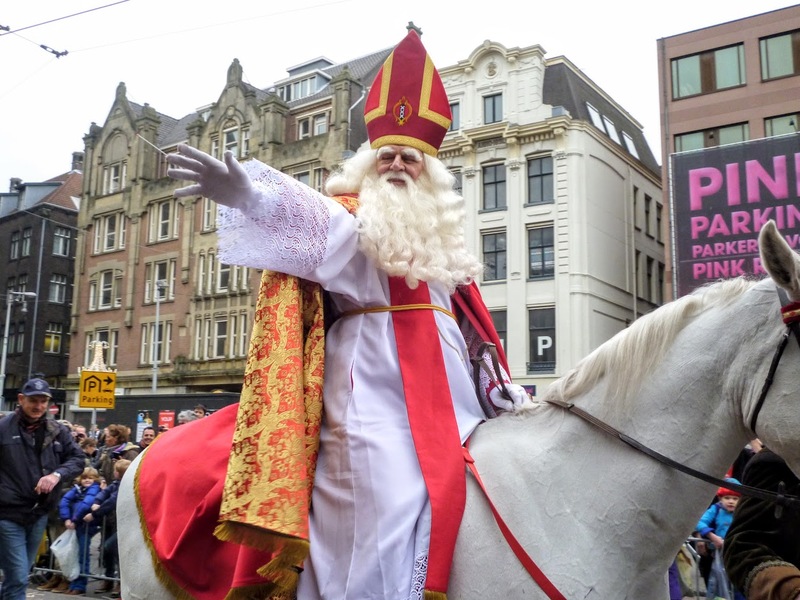 One of the biggest parades in the Netherlands is arrival of the Sinterklaas (Saint Nicholas). 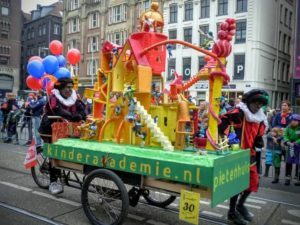 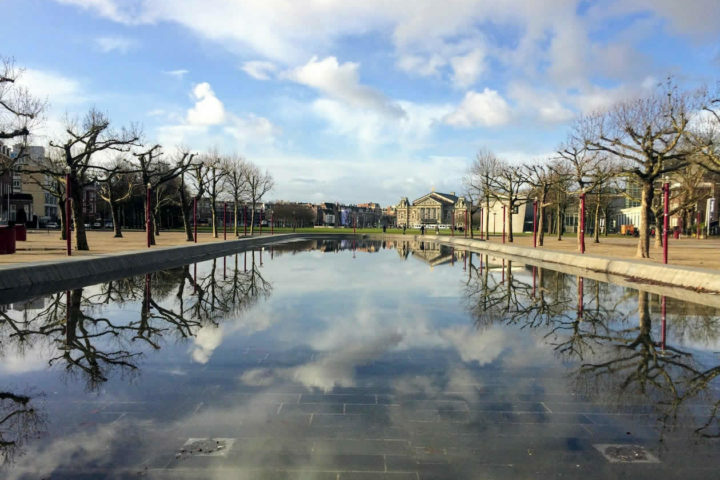 It took place in the middle of November (first weekend after the 11th of November) and is among the favorite events for Dutch kids. 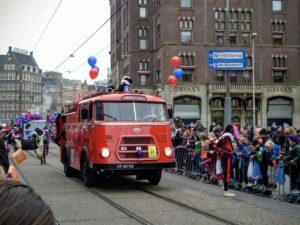 It also marks the beginning of winter holidays, so the streets gets its holiday lights and Christmas spirit. Dutch tradition say that on this day Sinterklaas arrives by steamboat from the Spain to the Netherlands. 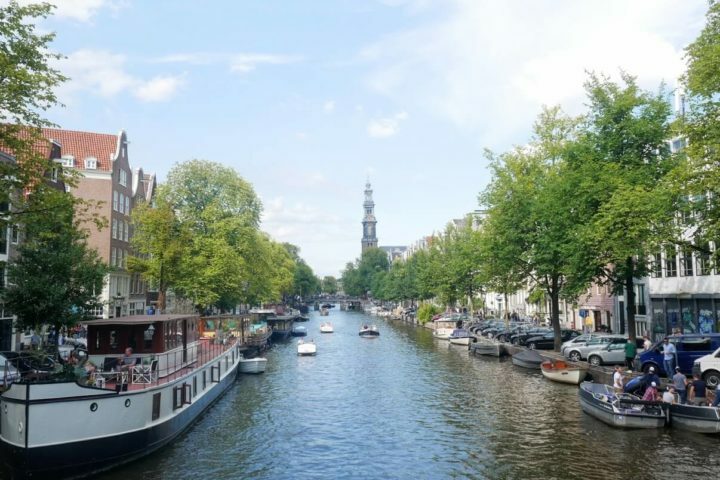 The biggest event is organized in Amsterdam where he arrives on the boat sailing down the Amstel River all the way to Maritime Museum. 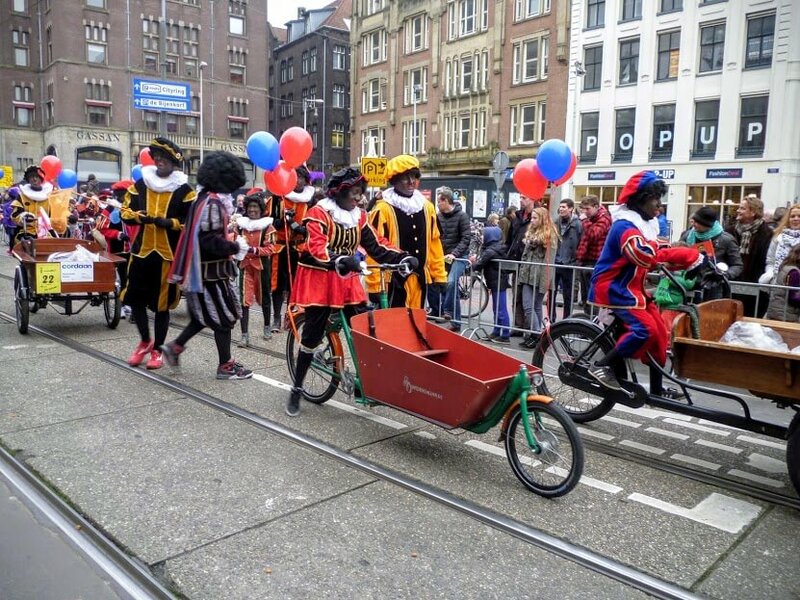 At that point the major of Amsterdam is welcoming Sinterklaas to the city. 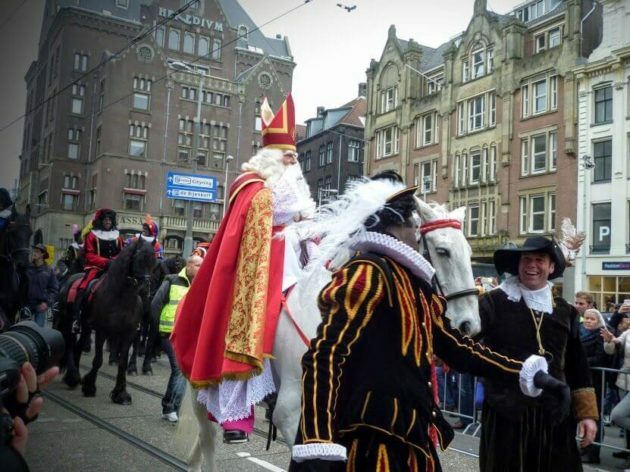 From there he continues the parade through the town on his white horse Amerigo, welcomed by children cheering and singing traditional Sinterklaas songs. 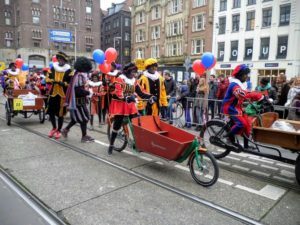 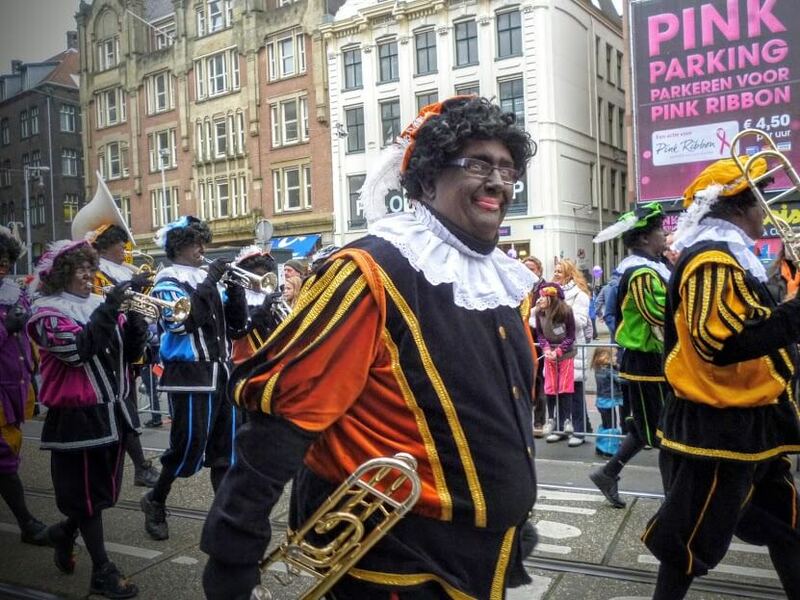 He is accompanied with his helpers Zwarte Pieten, a black-face characters dressed in a 17th century page clothes. They are carrying bags filled with candies that are giving away to the visitors. 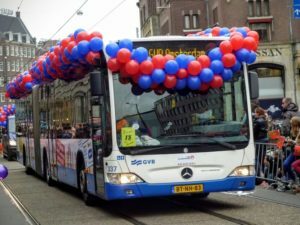 Event lasts for a few hours, and its route is always packed with visitors. That’s why it is good to check the route in advance (click here for more info) and come earlier to event so you can have a better view at it. 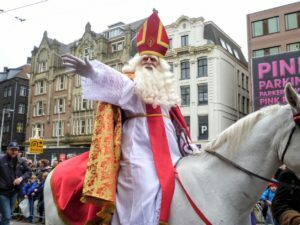 Between his arrival in the mid- November and his day which is celebrated at 6th of December, Sinterklaas is also visiting schools, hospitals and shopping malls. 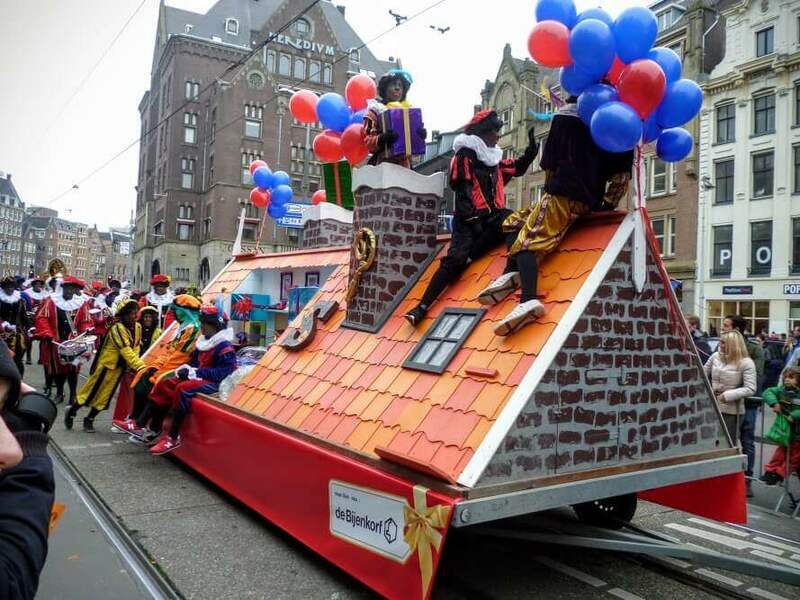 Kids are leaving their shoes next to the fireplace, so during the night Sinterklaas can put little presents in them (mostly little spicy cookies or chocolate letters). 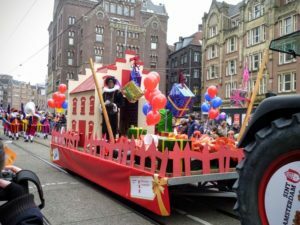 The main celebration took place at the evening before Saint Nicholas day, at 5th of December, when kids are getting a major present and a short song especially written for them. 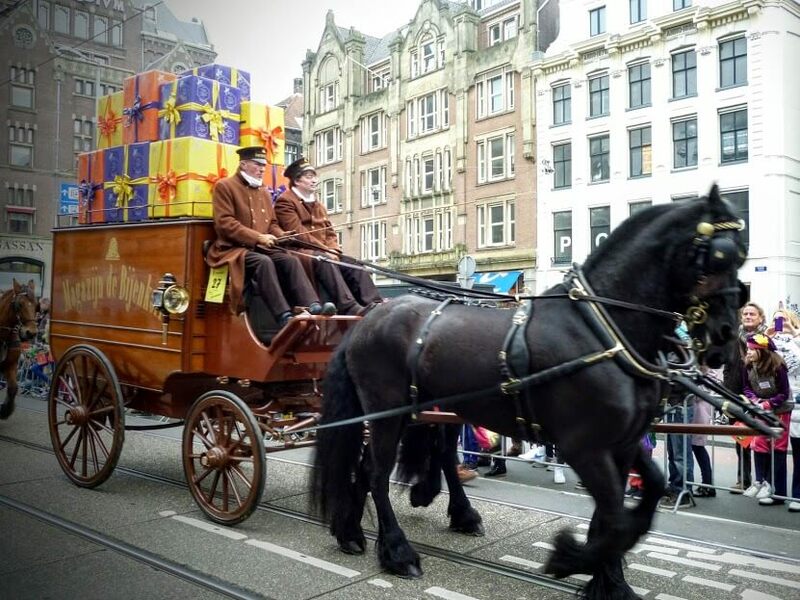 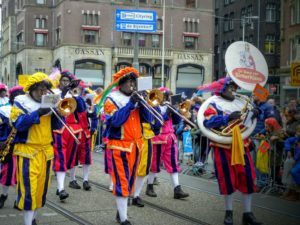 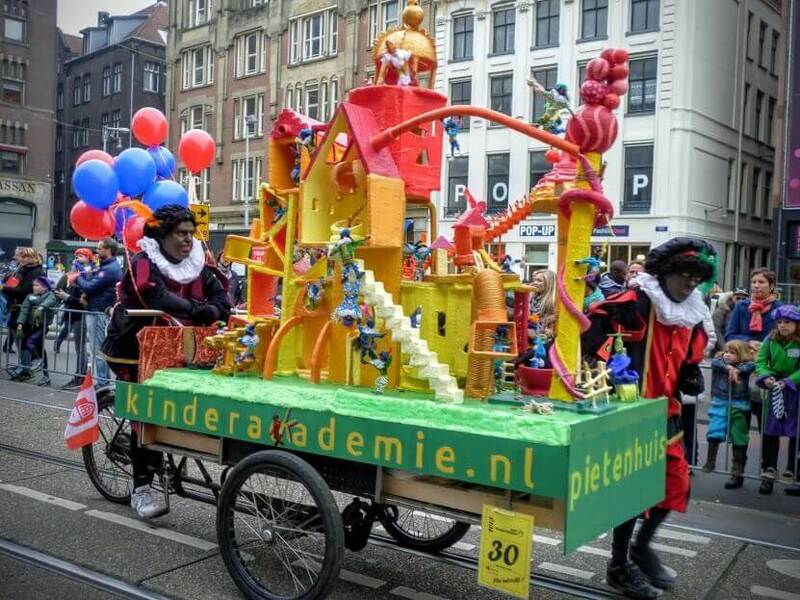 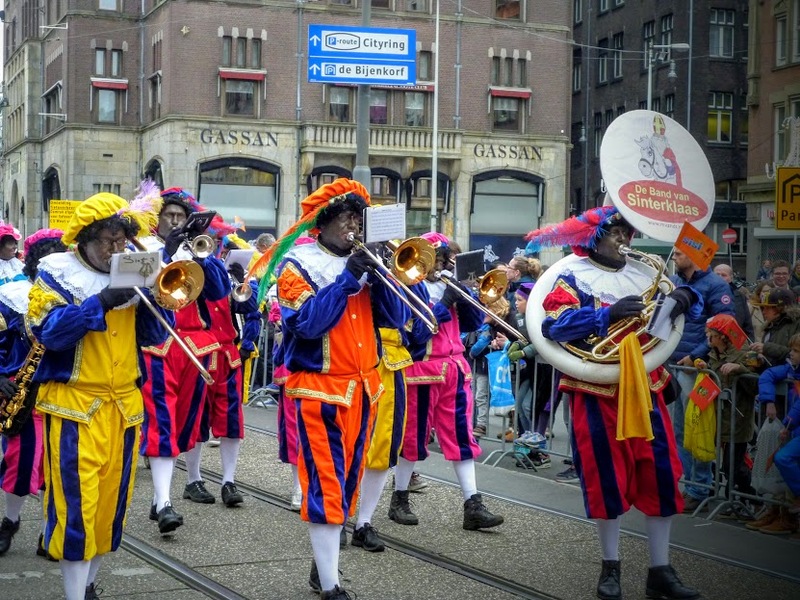 Sinterklaas celebration is one of the most favorite and popular events in the Netherlands. 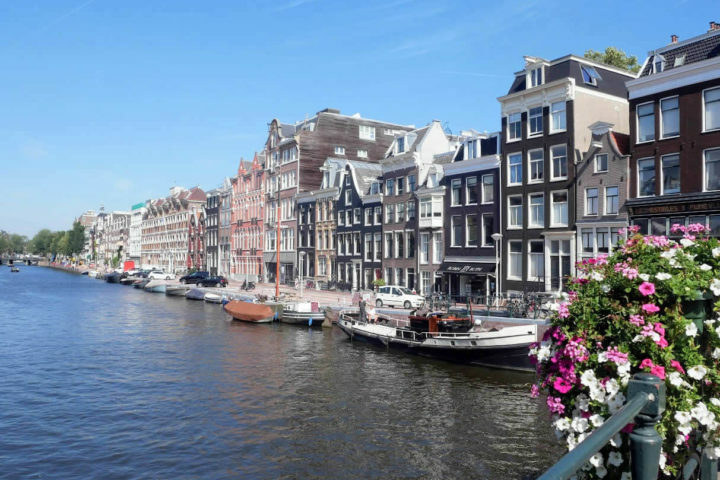 So, if you are visiting at that time of the year, it should definitely be in your list!